“I’m excited that we were able to pass this in the Senate today. This proposal gives over 12,000 adults in my district access to health care and a primary doctor, cutting down on emergency room visits. I look forward to further serving my district and to take the necessary steps to see that the needs of my constituents are met,” said State Senator Napoleon Harris (D-Flossmoor) following the Senate’s vote of 40 to 19 on Senate Bill 26. 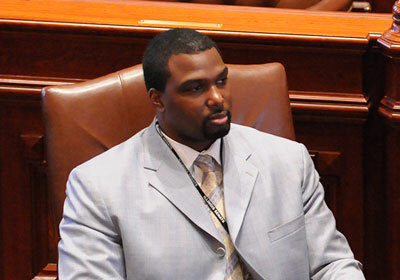 State Senator Napoleon Harris (D-Flossmoor) was pleased with Gov. Pat Quinn’s decision to approve legislation that would continue to provide funding for better transportation infrastructure, job creation and child safety. The governor signed HB 190 Thursday evening right after it passed in the Senate. This legislation continues to support the funding for fixing our state’s roads, bridges and other transportation infrastructure and creating thousands of jobs. “One of my biggest concerns as a senator is to bring back jobs to my district,” Harris said. The legislation restores some of the severe funding cuts to the Department of Children and Family Services and prevents layoffs that would have impacted needy families and children. Without this support, DCFS would struggle to protect nearly 45,000 children throughout the state from abuse and neglect.